Ed Burke, Chairman of the Board of Dennis K. Burke Inc. will be speaking May 3, 2011 at the Massachusetts GreenStar Expo being held at the Boston Convention Expositon Center during the Fleet Managers Workshop. Ed will be speaking about the new Selective Catalyst Reduction Systems that are now standard on the majority of diesel engines built after 2009. 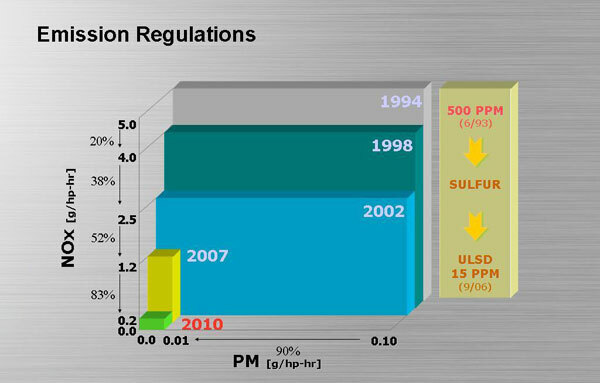 This technology is designed to reduce NOx levels 83% from 2007 EPA Emissions. The SCR system is an aftertreatment technology that treats exhaust gas downstream of the engine. Diesel Exhaust Fluid (Def) is injected into the exhaust stream and reacts with the NOx, changing into emissions of harmless nitrogen and water. For more information on Diesel Exhaust Fluid, visit www.burkeoil.com or call Kevin O’Leary @ 617-819-3206.